Knitting Pretty: 1950s Nautical Sweater | Oh, for the Love of Vintage! I’ve picked up my knitting again for the first time in about a year. Luckily, it’s all coming back to me: casting on and off, knit, pearl, etc. Unfortunately, I’m not advanced enough to make any of the bed sweaters in my last ‘Knitting Pretty’ post. However, I shall soldier on and keep at it. 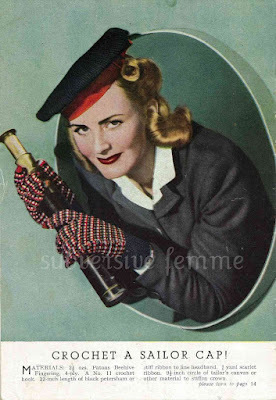 Today, I wanted to treat you with another vintage pattern. 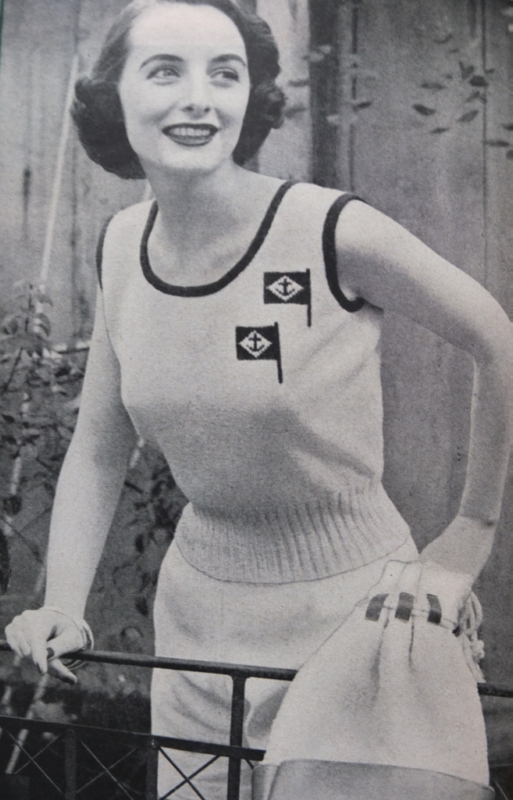 This time it’s a 1950s Nautical Sweater, with two flags on it. I’m crazy about all things nautical and sailor, as you probably realize from previous posts (ship jelly belly earrings, Captain swing dress). 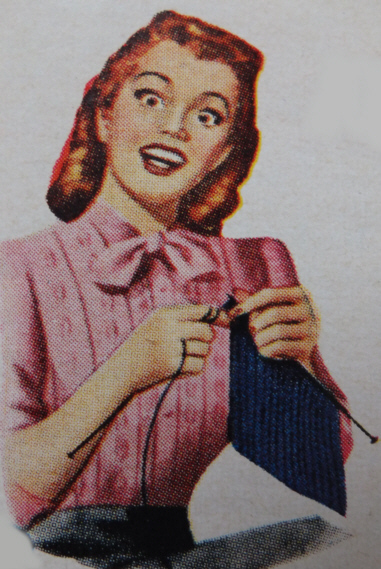 Download Pattern (pdf): Knitting Pretty 1950s Nautical Sweater. I hope to one day be able to knit this gem! If you complete it, do let me know. I’d love to see photos. I’m so loving the sweaters. I think I have to start knitting!! Hopefully it will come back to me too…, it’s been, hmmmm 35years! « Let’s Get Cooking Spicy Chicken!